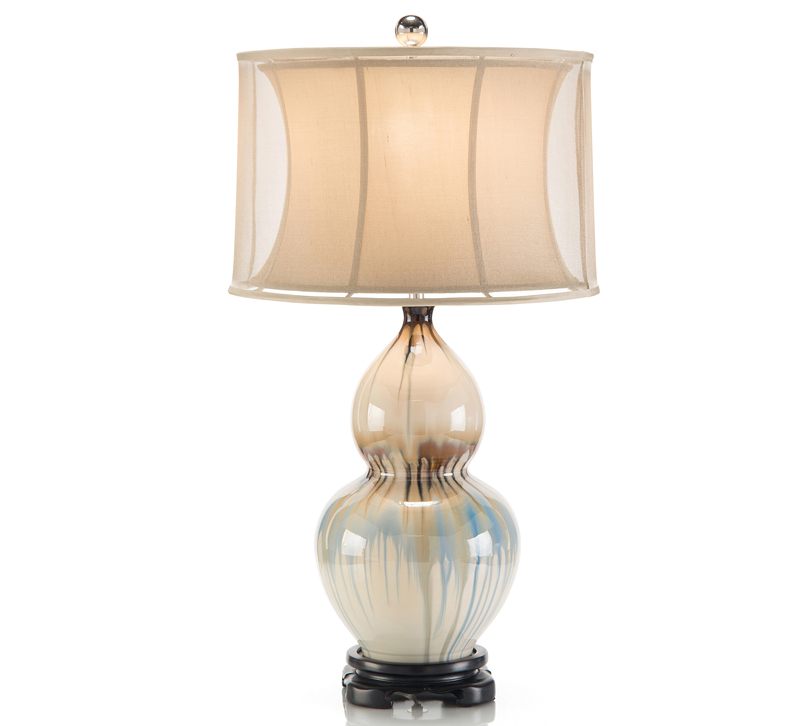 This ceramic glazed table lamp from John-Richard has a storm-cloud blue design with traces of umber. Because of this glazing process, no two lamps will look identical. A traditional carving defines the base. The organza and man-made silk shade is topped with a finial made of nickel.